Hoggard is coming off a year where injury held the team back from their full potential. Despite having 3 girls under 20 minutes they were last at the NCHSAA 4A State Championships. They do get another crack at having big team success returning their entire top 5. They'll have a strong top 4 that potentially will all be under 20 minutes this fall. There top girl last fall was freshman Sloane Fleming-Hickey who ran 19:32 who was 7th at the regional level and 36th at the state meet. She was able to crack the 20-minute mark at the conference, regional and state meet. She was solid on the track as well running 11:48 for the 3200m as she placed 9th at the outdoor state meet. She also ran 5:39 for the 1600m. Fleming-Hickey should improve from her 19:32 PR this fall as she'll look to be the teams top girl once again. A big hit for Hoggard last fall was not having sophomore Jenna Pellizzari at full strength. She ran most of the year, but didn't run at the end of the season and didn't seem to be at her full potential throughout the year. She came into last season after running 5:11 for the 1600m placing 6th at the 4A State Championship. She did run 19:43 last fall, just off her PR of 19:32, but after an impressive freshman track season I'm sure the expectations were much higher. If they can bring her back to full strength she could be a bigtime low stick for Hoggard this fall. Kate Redenbaugh had a big breakout performance last fall improving from a 22:02 PR as a sophomore then improving to the teams #3 girl clocking 19:58. Redenbaugh ended the year with a 92nd place finish at the state meet in her first year inside the top 7. On the track her breakthrough didn't stop. She ran 11:46 for the 3200m and 5:35 for her 1600m. However, she only ran in a handful of meets. Redenbaugh seems to have a lot more potential left in her for her senior season. 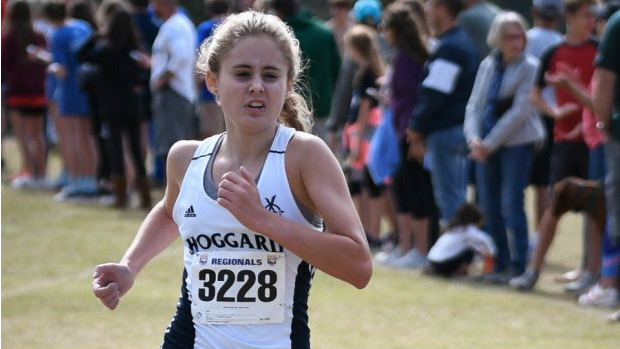 Rising sophomore Paige Phillips had a promising freshman year as she ran 20:11 for 5000m. She only ran XC, but had a big breakthrough across her entire freshman year. She kicked off the season with a 23:33 and dropped over 3 minutes in just a few months and placed 83rd at the state meet. Skylar Burke was the teams #7 girl last fall running 21:16. She ran 20:13 as a sophomore however but struggled to get back to that form last fall. On the track she ran 5:47 getting closer to her PR form. If she can get back to the low 20s this fall it'd be a big impact for the team. They'll also return Erin Johnston who ran 23:07 in XC last season. Johnston upped her game during her freshman track season running 5:56 for the 1600m and should fight to be the team's 5th girl this fall. They'll return 5 other girls who ran under 21 minutes last fall that are just one big performance away from closing the gap on this teams top 5. Hoggard will fight with Broughton and Ashley for the 4A East title this fall.